Greetings again from the darkness. Is it too soon? If not, is it too painful to revisit? Even if the time is right, is injecting a fictitious supercop into the horrific events an acceptable approach? 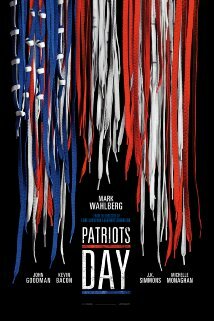 Every viewer of the film will have their own answers to these questions, but clearly writer/director Peter Berg (Deepwater Horizon, Lone Survivor) and Boston area native Mark Wahlberg believed now is the time and that this is the best way to re-create this catastrophe and its fallout. Wahlberg plays Tommy Saunders, a Boston detective kicked back to uniform duty as penance for a run-in with another cop. His character is evidently a composite of multiple cops and first responders, and though he is the center of the film, the character is the weak link. He’s some type of supercop who never sleeps and manages to be literally everywhere something is happening … either the Boston Marathon finish line, FBI control center, the hospital interviewing survivors, or cruising the streets with his spotlight tracking down the bad guys. Beyond Wahlberg’s character, the film does a remarkable job at re-creating the tragic events, the emotional and physical fallout, and the urgent law enforcement manhunt. Since it’s been less than 4 years, most every piece of this is fresh in our minds. We follow along from when the street cameras are used to identify the suspects all the way through the final capture from the backyard boat. Another thing the film does well is tell the stories of certain individuals who were impacted. We experience the emotions of Boston Police Commissioner Ed Davis (John Goodman), the preparedness and cool of Watertown Police Chief Jeffrey Pugliese (JK Simmons), the highs and lows of MIT Officer Sean Collier (Jake Picking), the terror and courage of captive Dun Meng (Jimmy O Yang), and the focus and conflicts of Governor Deval Patrick (Michael Beach) and FBI Special Agent Richard DesLauriers (Kevin Bacon). There is also the story of survivors Jessica Kensky (Rachel Brosnahan) and Christopher O’Shea (Patrick Downes), and a few others who we get to know a little bit. The bombers/terrorists/brothers are played by Alex Wolff and Themo Melikidze, and no effort is made to sympathize or explain their actions. The closest we get is an argument in the apartment with the wife (played by Melissa Benoist) over the wrong type of milk. I will not use the real names here as I don’t believe in providing any publicity for such creators of evil. The film successfully establishes the “normal” start to what seemed to be a “normal” day. Of course, April 13 2013 turned out to be anything but. We hear the Newtown tribute at the opening of the race, and we see David Ortiz with his color proclamation at Fenway Park. The music by Trent Reznor and Atticus Ross is always spot on with the mood, and the last 10 minutes are by far the most emotional … we hear from the real life survivors, first responders and others so crucial to that time. I may believe that this story would best be told in documentary form, but there is no denying that it’s a reminder of the power of love, and the spirit of Boston and America. Greetings again from the darkness. Is this a nostalgic throwback to the movie musicals of Stanley Donen and Fred Astaire, or is it a contemporary film designed to revitalize the movie musical genre in an era dominated by superheroes and sci-fi? 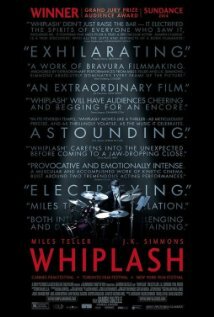 However you might choose to label writer/director Damien Chazelle’s follow-up to Whiplash (2014), it’s clearly one of the best and most entertaining movies of the year. While the opening credits are still rolling (“Presented in CinemaScope” being the first gag), the film kicks off with its only large scale (think Busby Berkeley on a L.A. freeway rather than in a swimming pool) musical production, “Another Day of Sun”. It’s also the first of 3 less-than-warm-and-fuzzy “meetings” between the two lead characters before they finally click. Emma Stone and Ryan Gosling light up the screen with the same incredible chemistry they displayed in Crazy, Stupid, Love (2011). Mia (Ms. Stone) is a struggling actress-wannabe working behind the counter at the Warner Brothers studio coffee shop. Sebastian (Mr. Gosling) is a pianist committed to the traditions of jazz music … even as he toils in a club playing mainstream tunes for folks who aren’t even listening. As their relationship develops, we are treated to a tap dance number in the Mulholland Drive moonlight. Soon, Sebastian (either a brooding Gene Kelly or a dancing James Dean) is forced to make a choice between finding a way to open his own jazz club or compromising his integrity by making lots of money joining a “hot” band (led by John Legend), while Mia is focusing on auditions and her writing (which leads to a disastrous one-woman show). Director Chazelle and cinematographer Linus Sandgren create a look in line with Singin’ in the Rain, but a tone more suited to A Star is Born. There is no shortage of romance and music, but it’s equally balanced with melancholy, foolish dreams, and shattered hopes. While it’s an homage to old Hollywood, Los Angeles and movie musicals, it seems to gracefully swing between past and present – and reality and fantasy. Mia has a bedroom wall mural of Ingrid Bergman, while Sebastian treasures his piano stool that once belonged to Hoagy Carmichael … two more examples of past and present intertwined. 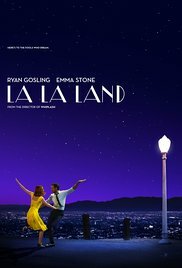 Ms. Stone and Mr. Gosling possess solid (not exceptional) singing voices, which aids in having the songs tell their story. Ms. Stone is quite a talent, and especially stands out in her audition scenes … we feel her pouring her heart out to casting agents who may or may not even be paying attention. It’s remarkable work from her. Supporting work is provided by Rosemarie DeWitt (as Sebastian’s sister), JK Simmons (as a club owner and Sebastian’s boss), Finn Wittrock (as Mia’s boyfriend) and Damon Gupton. Also in supporting roles would be the Griffith Observatory (after a Rebel Without a Cause viewing), the Los Angeles scene, and the Warner Brothers lot. The “What Could Have Been” ending sequence is top notch filmmaking in all aspects, and perfectly caps a movie that drips with nostalgia … while also being touching, funny, and downright fun. Watching this film is much like going through the ups and downs of a relationship, and rather than a fairy tale, it’s a painful jab at “the one who got away”. It deserves to be seen on the big screen – enjoy the full palette of colors and the full spectrum of emotions (love and heartbreak, frustration, anger, and utter joy). This is one to tell your friends about … don’t wait for them to tell you. Greetings again from the darkness. 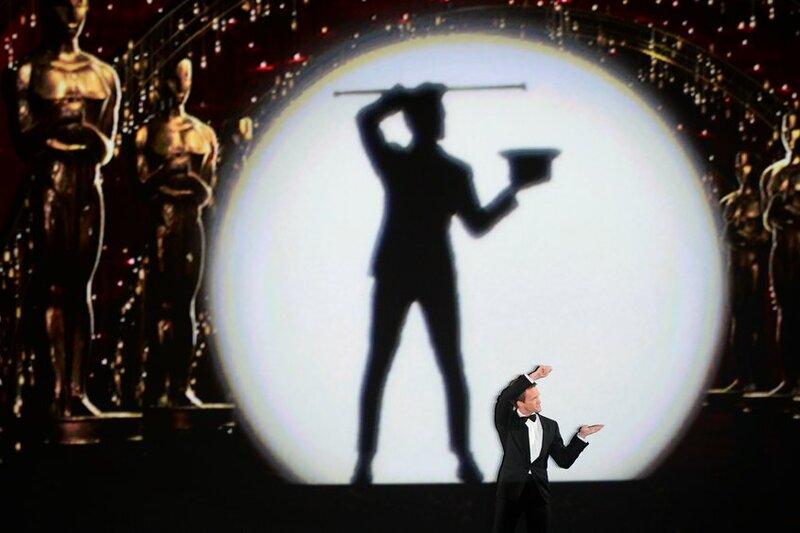 “Stay weird and stay different” is the main takeaway from this year’s Oscars presentation. Not only was that the heartfelt and emotional plea to kids made by Adapted Screenplay winner Graham Moore (The Imitation Game), but it also describes Best Picture winner Birdman Or (The Unexpected Virtue of Ignorance). The Academy seems to suffer from a multiple personality disorder in trying to decide what to do with the ceremony. Is it a formal and dignified event to honor the nominees? Is it a celebration of the artistic and historic sides of cinema? Is it an opportunity to entertain the tens of millions of TV viewers who tune in each year? Not knowing the objective makes it very difficult to be successful, which leads to a too-long mish-mash of all three approaches further muddled by the 30-second political statements offered up by millionaires whose words probably carry less weight than they believe, but more than they should. 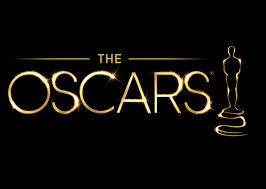 As a movie lover, what draws me to the telecast is the celebration of cinema, so my favorite segments included: the brilliant opening number entitled “Moving Pictures” as performed by emcee Neil Patrick Harris, with an assist from Anna Kendrick, Jack Black, numerous costumed dancers, some terrific special effects, and clips from many iconic movies; the beautifully sung melody by Lady Gaga as a tribute to the 50th anniversary of The Sound of Music – with an appearance from Julie Andrews; and the first time ever that each movie nominated for Best Picture (all 8 of them) went home with at least one Oscar. Of course there were also segments which I did not enjoy so much: an ultra-creepy John Travolta pawing at Idina Menzel’s face a year after butchering her name on stage; a lackluster Birdman parody by Neil Patrick Harris that paled in comparison to the recent work of Fred Armisen (Indie Spirit Awards) and Sesame Street (with Big Bird); the cut away shots to Michael Keaton chomping his chewing gum like a junior high kid; and the multitude of lame jokes (and absurd pre-show predictions) by Mr Harris that could have been excused if not for the poorly timed zinger directed at the dress choice of an award winner who had just moments before disclosed the suicide of her child. Emotions always run high in a room full of artists, and the live performance of “Glory” from Best Picture nominee Selma was quite impressive … from the infamous bridge setting, to the vocals of Common and John Legend, to the dozens of folks who joined them onstage (Note: they were given much more time than the other live performances of nominated songs). Also registering high on the emotional meter were: Patricia Arquette’s call for pay equality, Eddie Redmayne’s pure joy at winning Best Actor, and the excitement, pride and perspective shown by Ida director Pawel Pawlikowski towards his home country of Poland. On the other end of the emotional spectrum, how does it make sense that sourpuss Sean Penn tries to crack wise with an ill-timed joke, while “comedian” Eddie Murphy reads the list of nominees like he is checking inventory at Home Depot? On a personal note, my favorite film of the year was Boyhood, and while I am not upset that my second favorite film of the year won Best Picture, I do wish director Richard Linklater had received more accolades for his unique and extraordinary project. It was nice to see two screen veterans and professionals like Julianne Moore and JK Simmons take home their first Oscars, and I was ecstatic to see so many awards go to Wes Anderson’s beautiful The Grand Budapest Hotel and the frenetic Whiplash. We should all welcome the notice given to international talents like Emmanuel Lubezki, Alexandre Desplat and the previously mentioned Eddie Redmayne. Alejandro Inarritu was the big winner of the night for his ground-breaking work on Best Picture winner Birdman Or (The Unexpected Virtue of Ignorance) and on one of his trips to the stage he articulated a point of which I fully agree. He talked about how in the world of art, “works can’t be compared”, and when he has completed a project, it is that moment when he feels like he has succeeded. That is the heart of why the Academy remains confused about how to treat this event. The work of one actor cannot be objectively compared to that of another. No movie can fairly be determined superior to another. By their nature, works of creativity and art impact each of us differently, and the real test is … were we moved? Were we touched? Did the work cause us to think? Each of these things is more important than a shiny statuette … unless it’s one of those Lego Oscars, which, regardless what was contained in the $160,000 swag bags, were the absolute coolest item given away at the Dolby Theatre! Greetings again from the darkness. The pursuit of greatness is not always pretty. No matter if your dream is athletics, dancing, music or some other; you can be sure hard work and sacrifice will be part of your routine. You will likely have a mentor, teacher or coach whose job is to cultivate your skills while pushing you to new limits. This film questions whether the best approach is intimidation or society’s current preferred method of nurturing. Miles Teller plays Andrew, a first year student at an elite Manhattan music conservatory. Andrew dreams of being a great jazz drummer in the vein of Buddy Rich. When offered a rare shot at the top jazz orchestra, Andrew quickly discovers the conductor is a breed unlike anything he has ever encountered. The best movie comparison I can offer for JK Simmons’ portrayal of Terence Fletcher is R Lee Ermey’s Drill Instructor in Full Metal Jacket. This is no warm-hearted Mr Holland’s Opus. Fletcher bullies, intimidates, humiliates and uses every imaginable form of verbal abuse to push his musicians, and especially young Andrew, to reach for greater heights. Andrew and Fletcher go head to head through the entire movie, with Fletcher’s mental torment turning this into a psychological thriller … albeit with tremendous music. We witness Andrew shut out all pieces of a personal life, and even take on some of Fletcher’s less desirable traits. Andrew’s diner break-up with his girlfriend (Melissa Benoist) is much shorter, but just as cold as the infamous opening scene in The Social Network. At a small dinner party, Andrew loses some of the sweetness he inherited from his dad (Paul Reiser), and unloads some Fletcherisms on some unsuspecting family friends. Writer/Director Damien Chazelle has turned his Sundance award-winning short film into a fascinatingly brutal message movie that begs for discussion and debate. The open-ended approach is brilliant, though I found myself initially upset at the missing clean wrap that Hollywood so often provides. What price greatness? Is comeuppance a reward? Are mentors cruel to be kind? For the past few years, I have been proclaiming that Miles Teller (The Spectacular Now) is the next John Cusack. Perhaps that bar is too low. Teller just gets better with each film. His relentless energy draws us in, and we find ourselves in his corner … even though this time, he’s not the greatest guy himself. Still, as strong as Teller is, the film is owned by JK Simmons. Most think of him as the dad in Juno, or the ever-present insurance spokesman on TV, but he previously flashed his bad side as the white supremacist in “Oz“. Even that, doesn’t prepare us for Simmons’ powerhouse performance … just enough humanity to heighten his psychological torturing of musicians. You should see this one for Simmons’ performance. Or see it for the up-and-coming Teller. Enjoy the terrific music, especially Duke Ellington’s “Caravan”. See it for the talking points about teachers, society and personal greatness. See it for any or all these reasons – just don’t tell director Damien Chazelle “good job“. Greetings again from the darkness. One of the key characteristics of Steve Jobs was that he was constantly striving for perfection. Not just good. Not just acceptable. He wanted the perfect product in the perfect package sold in the perfect store. Whether or not you are a fan of Jobs and Apple, it’s painful to watch a middling movie about the man and the company … a movie that seems to strive for very little, and certainly not perfection. Ashton Kutcher delivers an impersonation of Jobs complete with beady eyes, slumped shoulders and awkward gait. This is not one of those biopics where the performer disappears into the famous character. We never forget that we are watching Kutcher’s attempt to act and sound like Jobs. But Kutcher is far from the worst part of the movie … in fact, he is fine, given what he has to work with. 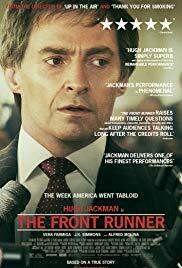 The real issue with the movie is that it just offers no real insight into the man or the company. Instead we see only the headlines: Jobs drops out, Jobs goes barefooted, Jobs is a jerk, Jobs takes advantage of Woz, Jobs does drugs, Jobs eats fruit, Jobs is a jerk, Jobs is booted out, Jobs comes back, Jobs is a jerk. The challenge to telling the story of Steve Jobs and Apple stems from finding the genius within the jerk. Walter Isaacson’s book “Steve Jobs” does exceptional work on that front, and I believe there is a movie project in the works based on his source material. The supporting cast is impressive: Dermot Mulroney (Mike Makkula), Lukas Haas (Daniel Kottke, Matthew Modine ( John Sculley), JK Simmons, Lesley Ann Warren, John Getz, Ron Eldard (Rod Holt), Kevin Dunn and James Woods. 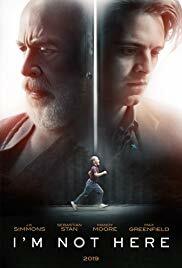 Especially effective, and maybe the only reason to see the movie, is Josh Gad as Steve Wozniak. Woz is known to be the technical genius behind the founding of Apple and Gad perfectly captures the spirit of Wozniak as we in the public have come to know him over the years. Directed by Joshua Michael Stern (Swing Vote), the film is written by first time screenwriter Matt Whiteley. This seems inexplicable to me. A writer with no credits is charged with coming up with a script on one of the most enigmatic and complex and successful people of our times. In fact, the result is what one would expect … a made-for-TV type glossy presentation that doesn’t dig too deep or offer any insight. In short, the kind of movie that Steve Jobs would have despised.